If you would like to make a one time payment and the account does not have any open invoices. Apply payment for the required amount in the next screen. The Effective date - any date of your choice, this will be used in all Reports as the date the payment was applied. 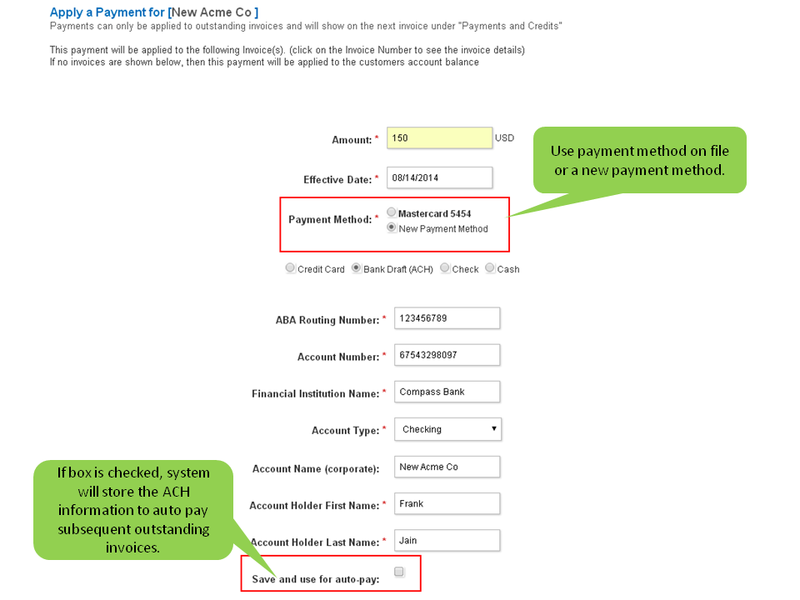 You will have the option to either use a payment method that is already saved on file or choose a new payment method. 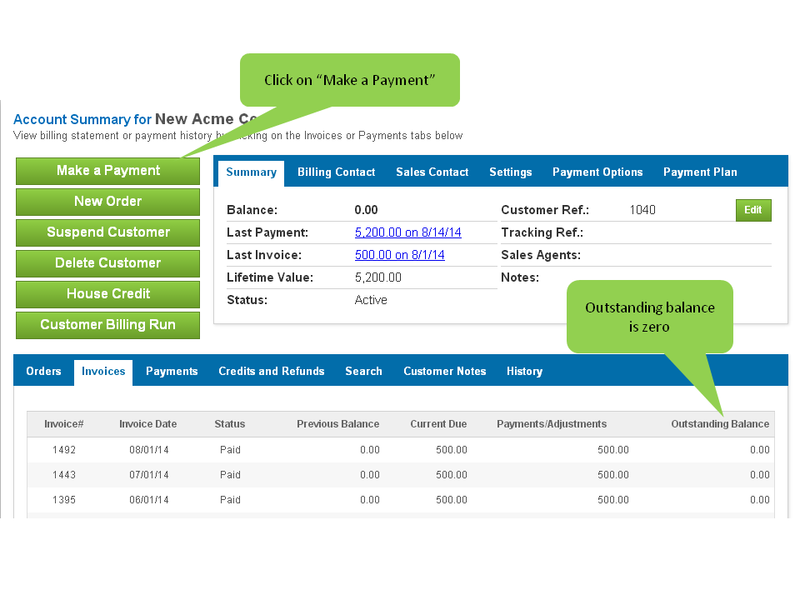 Once payment has been applied, the credit balance will appear on the Customer Account Summary page.